Despite the Unbroken Bonds set not becoming legal until mid May, there’s still more Expanded format events to be played. The results of the most recent Regional Championship stateside in North Carolina will be relevant in the months to come. Expanded changed a lot the week prior in Toronto; Trevenant BREAK and things like Pyroar popped up after a long hibernation. Most shocking of all, Night March won the entire event. The most noticeable thing here is that Blastoise performed much better than it did in Toronto. I used the same list as second-place finisher Azul Garcia Griego, but I did not do as well. I had a weird day marred with two very unfavorable matchups with lots of unfortunate draws and luck; I finished 4-3-2 for zero Championship Points. We ranked Blastoise, Pikachu and Zekrom-GX, and Zoroark-GX / Garbodor the highest, with Blastoise being the most popular deck overall. While playing the top-rated deck isn’t always correct, it felt that way this week because Blastoise is a deck that can beat anything. 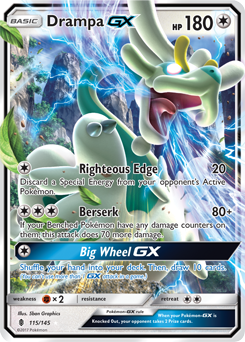 The play ended up working out, and a second-place effort is nothing to scoff at, but I think Drampa-GX / Garbodor winning is as big a surprise as Night March winning the week prior. Drampa-GX / Garbodor has casually continued to put up results even after its “nerfing” by the start of a new year of Expanded events. Its quiet success has not convinced many people to use the deck — seven in total of all those in Greensboro — but it continues to put up results. Was this an anomaly or just good pairings? Much like how the stars aligned for Trevenant BREAK to do well in Canada, Garbodor with Trashalanche was well-poised for Greensboro. 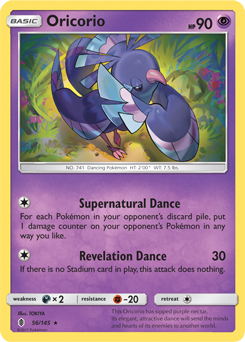 Expanded is home to Items galore, and with Trevenant BREAK doing well in the previous event, Zoroark-GX was sure to make an appearance. I think the Zoroark-GX matchup for Drampa-GX / Garbodor has always been slightly positive and that’s no different these days. It’s hard to counter an N to a low hand size in conjunction with a Parallel City drop and a Righteous Edge to remove a Double Colorless. Much to everyone’s surprise, the deck ended up having a slew of great matchups in the tournament. You might wondering if I regret playing Blastoise? Should I have played Garbodor instead? I still think Blastoise was a great play. Drampa-GX / Garbodor can be clunky and it can lose to decks it should beat because of inconsistencies. While I do regret not putting more thought into the power of Trashalanche this past weekend, Blastoise was still a great deck and I felt like I could have beaten any of my opponents regardless of what they were playing. Seeing the Day 2 metagame, Drampa-GX / Garbodor was extremely well positioned and I am not surprised it won when I look at it in that perspective. In the spreadsheet, we made a mistake by listing the Drampa-GX / Garbodor matchup with Zoroark-GX / Garbodor at 40%, when it’s really the inverse at 60%. This makes a difference, boosting the deck to fifth in ranking overall, but I don’t think it’s near the point where I would have considered it. Why was the matchup wrong? No one in my testing group had tested the matchup in a while and just made a mistake. After seeing the matchup play out, it reminded me a lot of how it would go “back in the day” last year, righting it at a “60-40” designation.